An American made authentic backlit poster display with it’s “glowing” border in choice of colors and front loading 1 ¾” poster frame that “snaps” open and closed for easy poster changes, this poster display adds theatrical aura to any home theater. 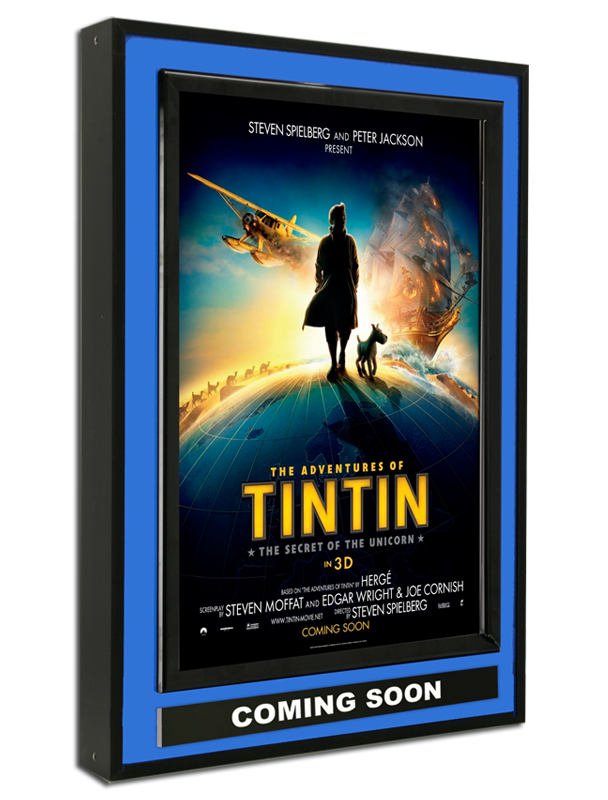 The poster display comes with a crystal clear sheet that serves to protect and enhance your movie poster and a frame to put in a Now Showing or Coming Soon dater that comes with it. Available in satin silver, satin gold, polished silver, polished gold, or black with blue, red or yellow “glowing” border.